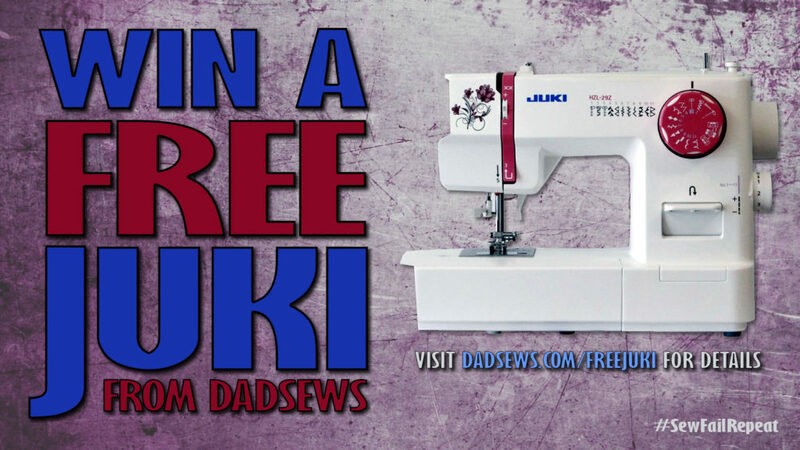 You read that right: a FREE JUKI machine!!! Well, DadSews just appeared on ‘Virginia This Morning CBS 6‘ and announced a sewing machine giveaway! But here’s the BIG SURPRISE….. we’re not just giving away ONE machine! That’s right, DadSews is looking to hit 5,000 subscribers on YouTube, so there will be MULTIPLE WINNERS. See below for how to enter! You MUST SUBSCRIBE to win! Thanks to FabricHut.com for participating in this giveaway. Check out their site for great deals on fabric and the BEST price on JUKI sewing machines. 15 Responses to Win a FREE JUKI Sewing Machine! Shared, subscribed and liked. Thanks. If our youtube and facebook emails are different, will it still count? Really, really want to with this!!! So excited!!!! Just saw you on Virginia This Morning! You rock! Completed all the requirements to win a sewing machine; thanks for the opportunity! We have alternate prizes for our international friends!